I recently bought Dragon Age Origins -- Ultimate Edition from steam, and aside from a few minor issues, I think I will end up enjoying it. What am I choosing here? Is the difference like that of Diablo II and it's expansion (where the expansion is the base game and then the expansion ((though the expansion offers items / classes / etc. not available in the base game))) or is the assumption that one plays through Origins first, and then plays Awakening (like a true sequel, e.g., Mass Effect 1 to Mass Effect 2)? Awakening is basically a short campaign after the main story of Origins. Play Origins first, and after you finish, you'll get the option of transferring your character to Awakening. 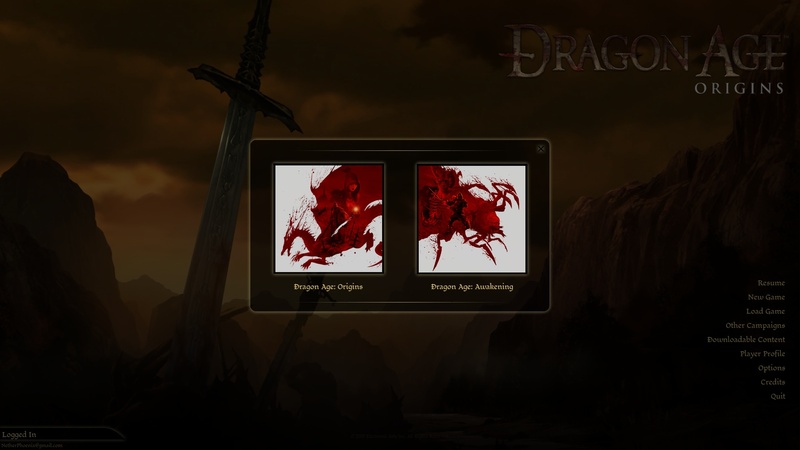 Are there any restrictions to getting a used copy of Dragon Age Origins? Is the Keeper class available in the Awakening expansion? Can you continue a save from the digital version with the disc version?